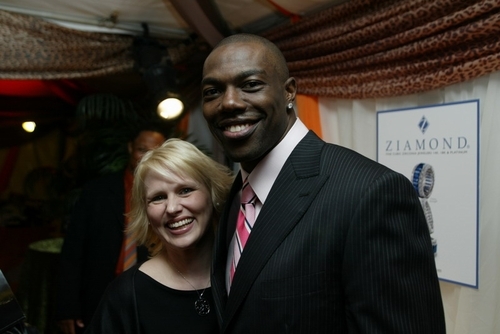 Terrell Owens, NFL Superstar, visited with Ziamond Cubic Zirconia Jewelers. Ziamond features a vast collection of cubic zirconia cz jewelry set in 14k gold, 18k gold, or platinum. Many celebrities and sports stars rely on Ziamond for their jewelry expertise and ability to custom make any design desired.